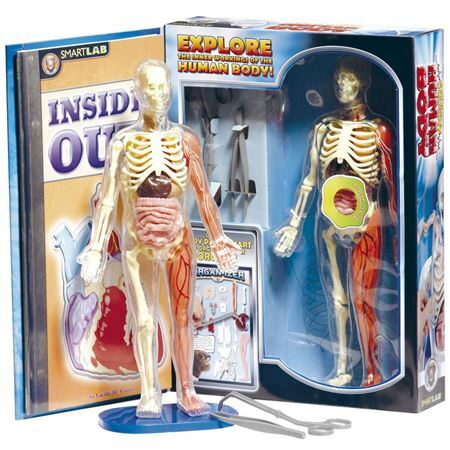 A fascinating way to learn human body science while having fun. Make interesting models and toys based on human organs to study their unique functions! 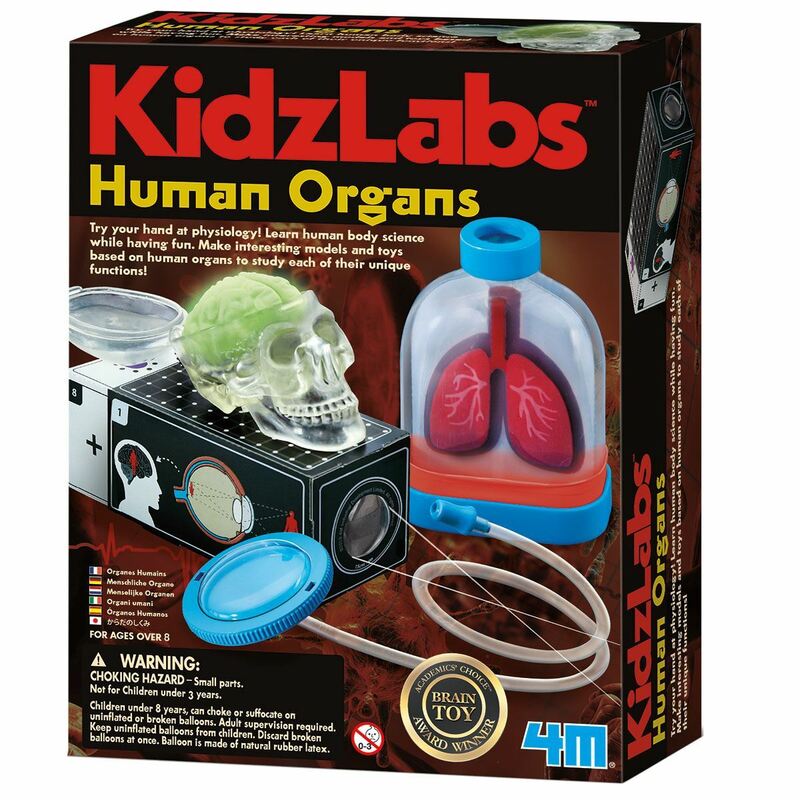 Set also requires the use of scissors, a pencil and a AA battery – not included. 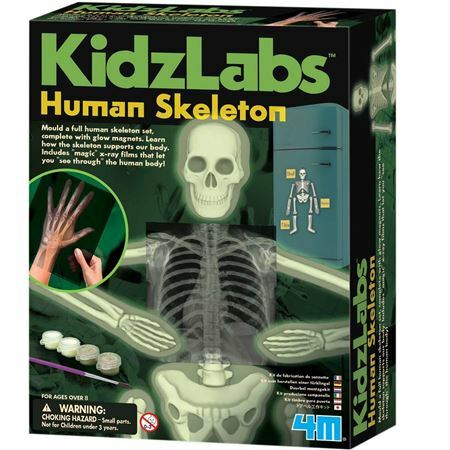 Make a plaster skeleton, paint it and assemble on a magnetic wall chart. Brilliant fun and educational too! 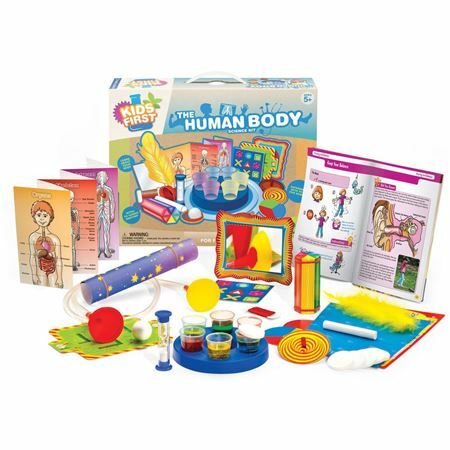 The Human Body science kit is a fascinating set to learn about your body with 26 experiments! 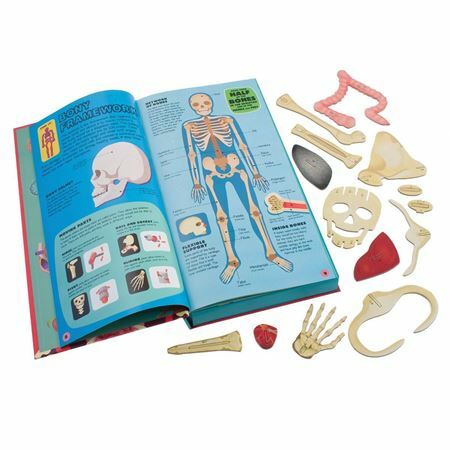 Compact, cleverly jointed Zoobookoo cube book, full of facts and pictures on our incredible human bodies is a fun educational gift for compulsive fiddling and learning!